Your family is important to us! Palacios dentistry offers a broad range of general dental services for your entire family. Our team members have the knowledge needed to provide every patient with the highest quality of dental care. With a warm and welcoming environment, patients of all ages feel comfortable. 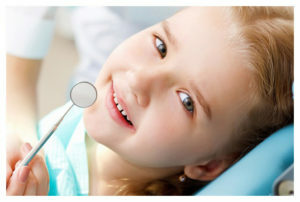 Our goal is to provide your children with a positive dental experience. While focusing on brushing, flossing, cleaning and checking we can equip them with skills to prepare them for a lifetime of good oral hygiene. In our practice, we offer state-of-the-art dental technology and an experienced, caring team. We are proud to provide the finest preventive, restorative and cosmetic dental care in a welcoming, low-stress atmosphere that encourages your whole family to take care of your smiles for a lifetime. Interested in learning more about family dentistry? Dr. Louis Palacios provides world-class family dentistry for the entire family. Contact our office today for further information or to schedule an appointment.